To us, design isn't just a feature, it is the app's soul. It's what informs everything from the look-and-feel to an app's core functionality. What's more, we believe that an app shouldn't just be easy-to-use, but also fun-to-use. Design is very important to us, and you'll find it embodied in every app we build. A well-designed app has to have more than just a pretty face. It needs to be beautiful on the inside as well. That's why we give great importance to the design of an app's underlying architecture. Because it's this architecture that is ultimately responsible for an app's performance, stability and maintainability. A user may not see the benefit of a solid architecture, but they will certainly feel it. Some app development firms like to just jump in and start coding. Instead, we take a measured approach involving competitive research, wireframes, mini-prototypes and high-level master flows — all before writing a single line of code. This process allows us to construct the app's "grand vision" as well as identify oversights early on, when it's easier (and less costly) to fix. This grand vision also serves as a roadmap for future releases and ensures that design decisions we're making for version 1 are not going to cause a problem for version 3. 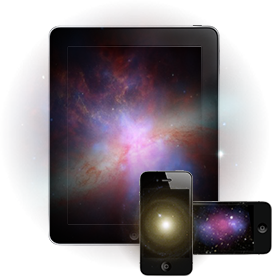 With iOS, we believe Apple has really provided a solid and creative platform for developers. That's why we concentrate on making the best apps for the iPhone and iPad. We've also learned that many of our clients want native Android versions of these same apps. That's why we've expanded our team. We can now offer you the option to have great native Android apps crafted as well. In addition to our current client work, we’ve been exploring Apple's iOS platform with prototypes of our own iPhone app for logging resistance workouts. See REPS Pro. Copyright © 2011-2019 Appstronomy Corp. All Rights Reserved. iPhone, iPad and iOS are registered trademarks of Apple, Inc.